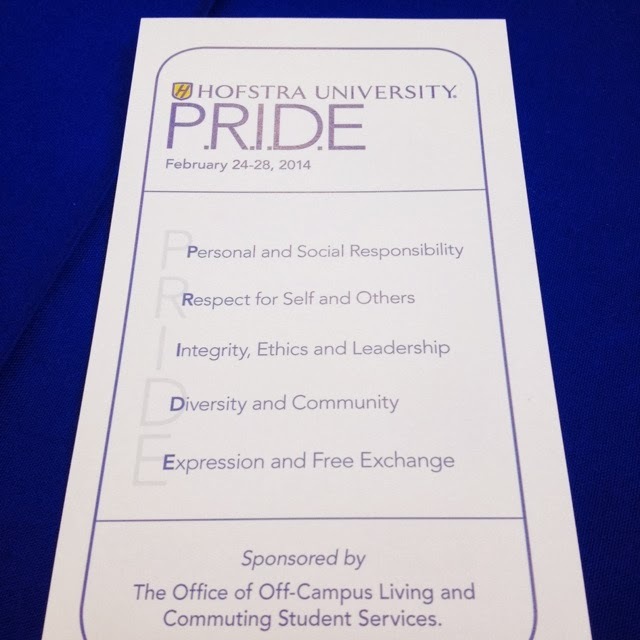 During Hofstra’s annual P.R.I.D.E. 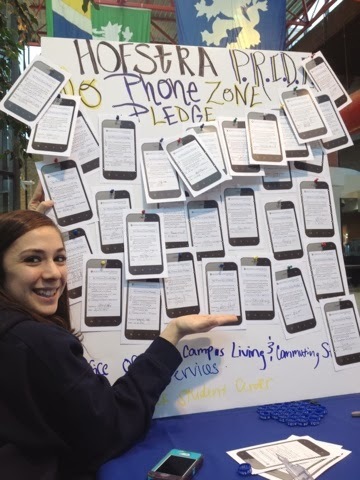 week program, the Office of Off-Campus Living & Commuting student services asked the student body to make a pledge to not text and drive. Over 100 students took the pledge not to text and drive. - I will promise to use hands-free calling if I need to speak on the phone while I am driving. - I will pull over to the side of the road if I need to text. - I pledge to make a difference. 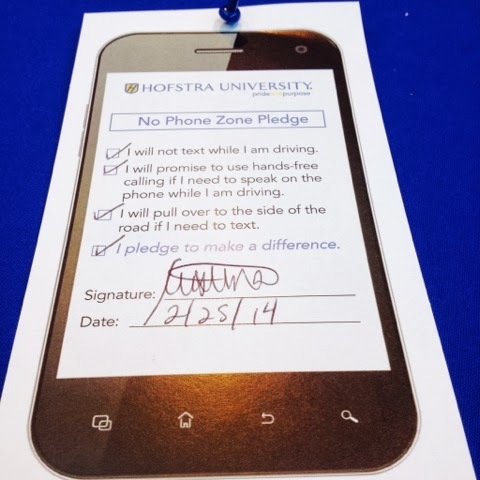 Every student that took the pledge received a Hofstra No Texting thumb band to act as a reminder not to text while operating a motor vehicle. 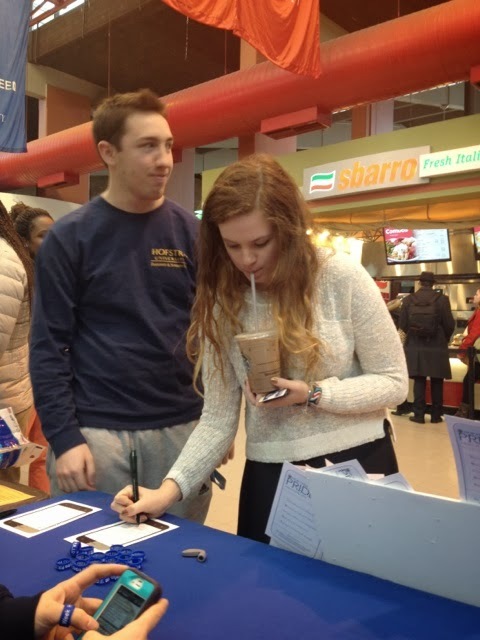 “Stay alive, don’t text and drive” was the slogan used to peak student’s interest in stopping at the table set up in the Atrium in the Mack Student center for an hour and a half. Students were engaged once they found out more about the risks of texting while driving. With the longest eyes-off-the-road time of all distracted driving activities, text messaging makes a car crash up to 23 times more likely than any other activity. 77% of young adults are very or somewhat confident that they can safety text while driving. 55% of young adult drivers claim it’s easy to text while they drive. 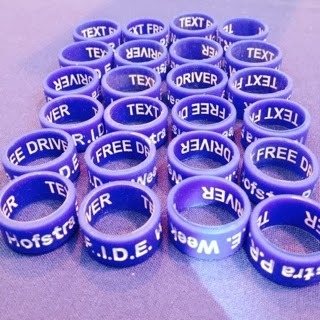 These facts and more were a somber reminder for students to take the “No Texting While Driving” pledge. 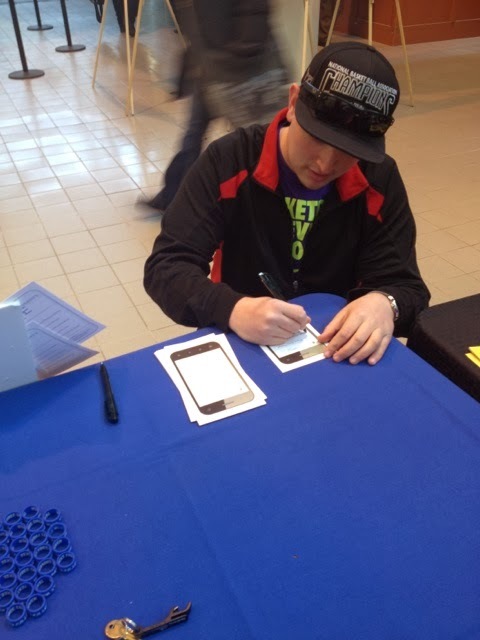 Many students were eager to sign up, expressing how deplorable they think texting and driving is, while others were more hesitant, embarrassed to admit how frequently they text and drive. 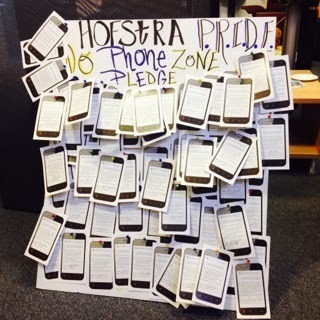 The Hofstra No Texting thumb band will remind students of the pledge they took during this P.R.I.D.E. week, and hopefully encourage them to put the phone down while they are driving. 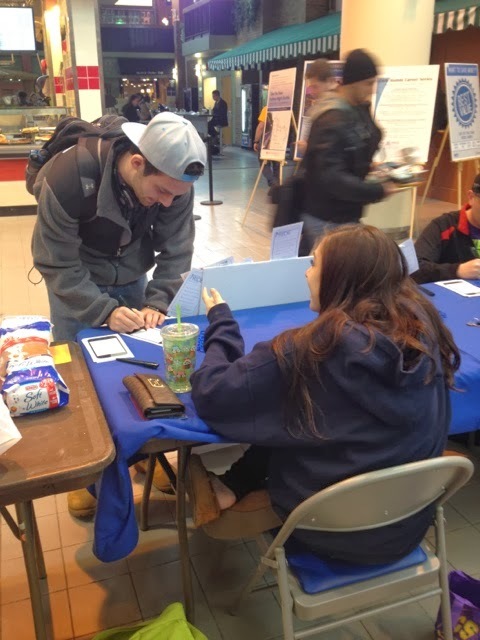 It’s not too late to take the pledge or get a ring – just stop by the Office of Off-Campus Living and Commuting Student Services to fill out your pledge card!